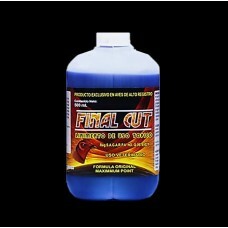 Final cut - for external topical use to cut roosters and relief from excess stress due to overwork, acts directly on the muscle tissue, use it with water and alcohol for the bathroom during the last day of rest after the tops or masajÉlo the days of rest. is recommended to use after tops or exercises and the last days to massage legs, wings, loins and chest. It can be used up to a day before playing.